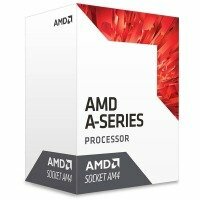 If you want your computer to run smoother and faster or to be able to handle multiple or complex programmes and games a new AMD processor or Computer Processing Unit (CPU) is the answer. Very simply put the processor Computer Processing Unit (CPU) is the brain of the computer. It is a chip that processes the information or data needed to run programmes or perform tasks. A processors speed is measured in GHz. And the faster the processor the faster it processes data and the faster the computer runs. Apart from its GHz value the number of 'cores' the processor has is also important. Multiple cores enable the processor to handle more tasks simultaneously. So look for at least a dual-core processor though for more complex operations like advanced gaming a quad-core is advisable. AMD processors use advanced technology to ensure they have the speed and reliability to cope with the most demanding tasks, the latest games and are able to run multiple complex programmes. 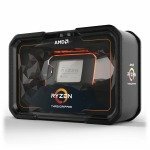 The latest AMD processors have been designed to provide the best experience for fans of multimedia and avid gamers alike. These processors are also optimised for the up-to-the-minute 64-bit programmes and operating systems such as Windows 8 which makes these processors an ideal choice for both laptops and desktop PCs. And you can be assured that with an AMD processor your machine will deliver a top-notch performance no matter what demands you place on it. 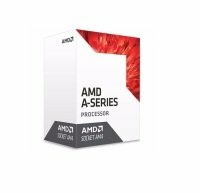 Here at Ebuyer.com we have a great selection of AMD processors ranging from 2.5GHz to over 4GHz at the top end. And, with multiple core options available, you are sure to find the processor you need here.